Limpeza de discos de grafonola de 78 "goma-laca"
Existem muitos tópicos sobre a limpeza de discos vinil, mas sobre limpeza dos discos antigos de grafonola de 78 rotações, os de goma-laca, não vejo praticamente nada. Alguém conhece um método caseiro de limpeza eficaz ? "How do I clean my records? The vast majority of vintage disc records are made of shellac mixed with various fillers, compounds and dyes. Though you can purchase cleaning solutions, brushes and machines that will do a grand job, it is not necessary for the average collector to go to this expense. 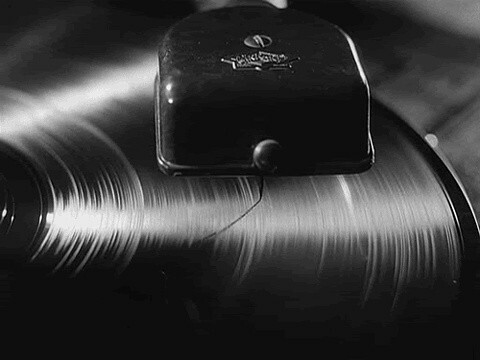 Unless a record is really filthy or greasy, gently rubbing with a damp terrycloth towel in the direction of the grooves will remove most of the dirt. This should be done on a soft flat surface to prevent cracking the disc, and the towel should be rinsed out frequently if cleaning more than just a few records. Follow the cleaning towel with a fluffy dry one, and let the record air-dry for a few minutes before placing it back in the sleeve. If the record is really dirty, it is generally safe to wash it with soapy water. Use a mild liquid dish-washing detergent, and rinse well before drying. Whatever you do, don’t use alcohol-based cleaners or solutions such as Windex on your records, as you will damage the grooves! It is important that records are not left immersed in water for any length of time. Some records (Columbias and Edison Diamond Discs, for instance) are laminated over a core that will swell if it gets wet. This causes peeling in the form of lamination cracks and edge separations. Additionally, certain labels can be damaged by water, especially those with porous paper or water-soluble inks. Wax cylinders may be cleaned with a soft damp cloth, but don’t attempt to remove mold or mildew. These growths eat into the surface of the cylinder itself, and are impossible to remove without also removing the grooves. Mold growth can only be retarded or arrested, not removed. (There is some evidence to suggest that what we refer to as ‘mold’ on a cylinder isn't actually mold at all, but a long-term chemical reaction within the wax. Either way, care and prevention are the same.)" Obrigado " galvaorod ", a sua dica ajudou, estava para os limpar com produto para vinil e se calhar ia estragar tudo. Assunto: Re: Limpeza de discos de grafonola de 78 "goma-laca"